Finding the right tenants is paramount for a smooth running tenancy. We would rather not let your property than move in a bad tenant. We value the ongoing relationship with our landlords and put your interest before our commission! A correctly valued property should let quickly. We can ensure this with our extensive online advertising. We also attract many waiting applicants through our prominent town center location and via recommendation. We are experts in sourcing quality properties. We listen to your requirements and are honest about the property we have. We won’t put tenants who want a long term let in a property we know may not be available for further tenancy renewals. All our property management is dealt with in our high street office. With just one number to call you will deal with the same experienced staff through the full process of registering and renting a property with Ark. We are affiliated with the main professional bodies ARLA and the Property Ombudsman. As fully bonded members of ARLA we are part of the client money protection scheme which gives you peace of mind that your money is secure. We register your deposits with the Tenancy deposit custodial scheme. This is a government run scheme so you can be sure your deposit is safe. As they are a third party if there is any disagreement they will arbitrate to ensure both parties’ interests are considered. 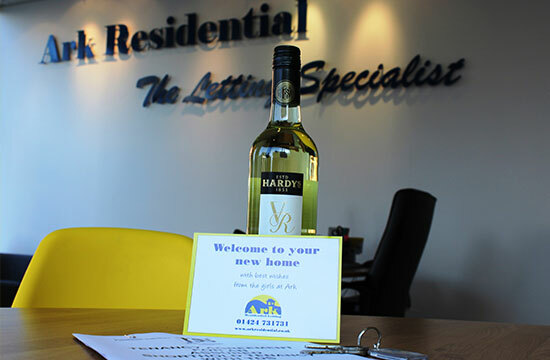 We are a friendly team here at Ark and hope you will feel welcome at the office and to contact us to discuss any concerns about your property or your tenancy.